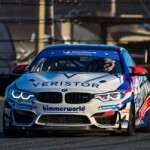 Three seasons of intense development with BMW’s turbocharged F30 (328i) platform by Virginia-based BMW tuning and aftermarket experts BimmerWorld paid off with a thrilling drive to third place in Sebring last weekend. 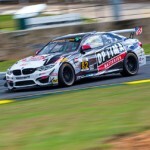 The accomplishment by BimmerWorld team owner/driver James Clay and his teammate Tyler Cooke, who earned pole position at the legendary Florida road course, marked the first pole and podium for the four-cylinder turbo BMW F30 in worldwide pro racing competition. 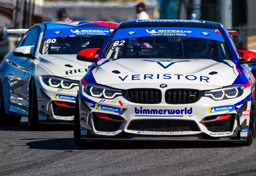 Those firsts were only made possible by BimmerWorld’s incredible staff of technicians who overcame adversity on two occasions to help make history. A broken fuel injector triggered a fire during testing on Tuesday with Clay behind the wheel of the No. 84 OPTIMA Batteries BMW 328i, which necessitated a significant amount of repair work before Cooke was able to earn the F30’s maiden pole position. More drama would emerge after qualifying when it was determined the No. 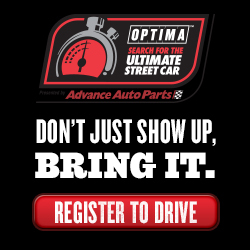 84 OPTIMA Batteries BMW would require an engine change. 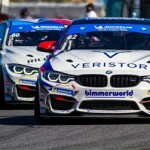 Per the rules in IMSA’s Continental Tire Series, the change meant BimmerWorld would surrender its first-place starting position. Cooke faced the incredible challenge of starting last in a field of 36 cars—26 belonging to the Street Tuner class where the 328is compete. 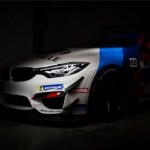 Rewarding the BimmerWorld crew’s tireless efforts was a clear motivation for Cooke who charged from the back of the field to a high of second place in ST before handing the car over to Clay, who fought among the leaders and secured an amazing third to thrust the OPTIMA Batteries BMW onto the podium. 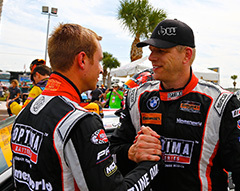 The Sebring event ranks among Cooke’s finest overall performances as a young professional racecar driver on the rise. “The fire put us behind, but I can’t say enough how proud I am of the team for putting in a lot of hours and a late night to get the car rebuilt,” said Cooke. “Qualifying came on Thursday and it was great to see the team so happy after receiving the pole. It was very unfortunate to have the engine changed, but James and I knew we had a pace to get through the field. The sister No. 81 BimmerWorld BMW driven by impressive rookie Jerry Kaufman and Kyle Tilley was also gripped by misfortune in the days leading up to the race. For Kaufman, a rookie in the series, the pre-race problems were mitigated by a strong qualifying performance and a combined effort in the race that saw the car finish 13th.